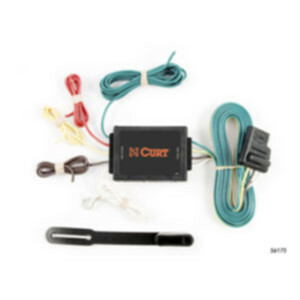 This tail light converter adapts import and domestic vehicles with separate turn and stop lights (3-wire system) to standard trailer tail light wiring (2-wire system). The unit is powered by your vehicle's stop/turn light circuit. -- This unit is driven by current from your vehicle's stop/turn light circuit. Check with your vehicle's manufacturer to determine whether your vehicle's circuitry can support the current requirements of your trailer. -- For questions regarding your specific application, use the hitch finder and look at the electrical system notes for your vehicle.